“Take a gamble” has rarely been sound business advice. However, when your business depends on something as volatile as the weather, every winter can feel like a bad trip to Vegas. If you’re in the snow and ice removal industry, you’re either hoping for an early spring or wishing for a blizzard like a fourth grader praying for a snow day. That’s why more and more business owners are protecting their companies with snowfall insurance. Troy Clogg of Michigan-based Troy Clogg Snow Associates purchases snowfall insurance for three main reasons: to protect revenue, control costs, and grow sales. Snowfall insurance allows Clogg to create custom snowfall coverage that will affordably provide guaranteed prices to his clients, while providing desired profitability for his company. “By partnering with Spectrum Weather Insurance, we have completely deleted our risk of losing money or having poor profit when our season is filled with above-average snowfall,” says Clogg. Residing in a state where lack of snowfall is rarely an issue, much of Clogg’s business is fixed-price seasonal contracts. These contracts are estimated to cover his expenses and provide profit if his client receives up to a certain amount of snowfall. However, if it snows more than his estimated amount, he begins to lose profit as his expenses increase. Before partnering with Spectrum, chaos would ensue when the amount of snowfall exceeded what was covered by a contract. 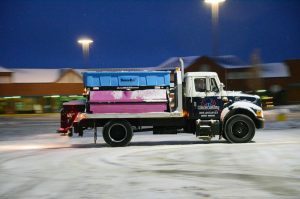 This would usually occur during big snow events that required his entire crew to work around the clock to get streets, walkways and parking lots clear and safe for the community. All of those overtime hours and extra pounds of deicer would add up and Clogg would end up losing money on the job. This is where excess snowfall insurance came in handy. Clogg was able to insure his contracts so that if snowfall exceeded what was covered in the contract, his additional supplies and labor costs would be covered by an insurance claim. “By insuring for blizzard days — instead of spending money like crazy with no chance of recouping — now we’re less stressed about the weather and look forward to receiving our insurance money a month or two after the blizzard,” says Clogg. Now let’s take a look at the other side of snowfall insurance, which is needed during warm, dry winters when there’s not enough snowfall to remain profitable. You can make your season revenue more predictable by purchasing snowfall coverage to compensate for the decline in jobs. This is particularly useful if you have clients who want to pay per push because you can buy insurance to cover your losses if it doesn’t snow enough for you to break even on the contract. Additionally, you can purchase coverage and build it into the price of a fixed contract or sell it to your clients as an add-on. When snowfall is below average, your clients receive a rebate on the snow removal services they paid for but didn’t need. 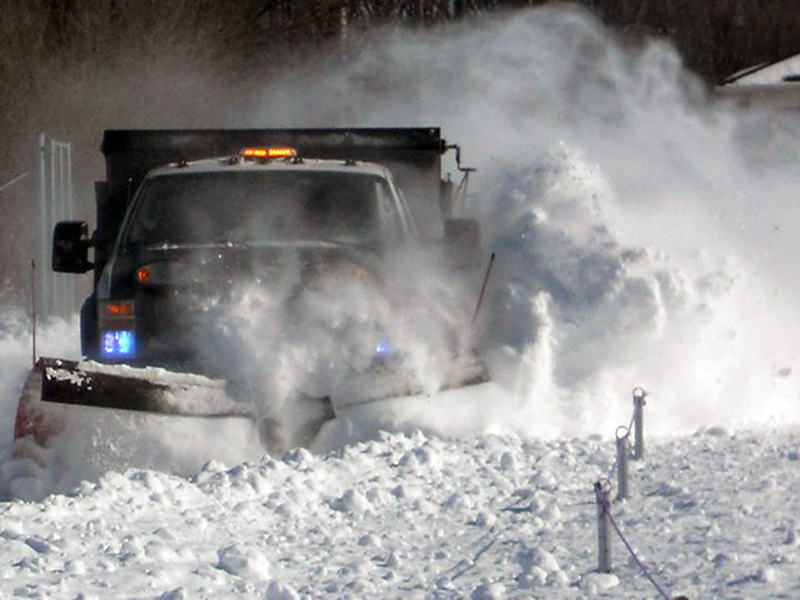 When snowfall is above average, your company receives a payout to cover the added expenses. Not only does this add value for your customers, but it also creates an additional revenue stream for your company. Ensuring your company is paid adequately whether you need to plow one time or 50 times can lead to overcompensation and steep prices for your clients. But with snowfall insurance to protect your revenue and control your costs, you can afford to offer lower prices to clients because you don’t need to account for fluctuations in snowfall. Competitive pricing attracts new customers and satisfies your existing ones. It also instills trust and shows your clients that you take your business seriously. “Our bankers as well as our customers love that we are insured for blizzards and horrible winters. They feel that by doing so, we are far more prepared and professional than others in our market,” says Clogg. Weather insurance is needed more than ever now that climate change is causing more extreme weather events. To learn more about how snowfall insurance can protect your revenue, control your costs and grow your sales, contact us today at 816-810-2346.